With the recent weather its obvious that summer is almost over. Saying goodbye to summer for another year doesn’t get easier but knowing what to do with your summer clothes during winter can. 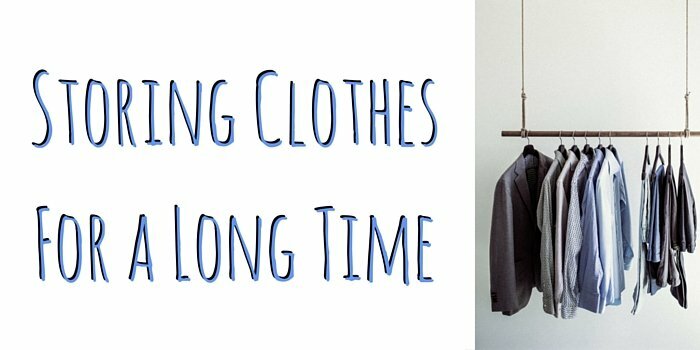 Storing your clothes might seem like a simple job but there are many aspects that people don’t consider. If you don’t store your clothes correctly then you could end up damaging them. Cleaning your clothes before putting them into storage is crucial. Food particles and perspiration or dirt can stain your clothes over time and become even harder to remove. Also dirty clothes can attract insects. Most insects will eat parts of your clothes leaving you with multiple holes in your clothes. When washing your clothes make sure that you wash them as instructed, otherwise you could damage them. Vacuum packing is a good way to save space although some people would suggest this method could damage your clothes, if they are stored for a long period of time. This would also depend on what fabric your clothes are made from, for example natural cloth needs air so vacuum packing would not be advised. Other instances where you shouldn’t use vacuum packs is when storing for a long time or valuables. Folding your clean, dry clothes and putting them in plastic containers is an alternative way to safely store your clothes. Plastic containers are airtight yet your clothes will still have air inside to keep air to your clothes. Plastic containers will protect your clothes better than plastic bags or cardboard boxes. Using plastic bags will trap moisture and result in mould. Cardboard boxes won’t protect your clothes from vermin and possible flooding. Packing correctly will help preserve your clothes. When packing it is important to think about what goes first and in which boxes. Heaviest items should always go first into boxes and the lighter items on top. This will stop items being squashed and ruined. For items that need to be hung up, there are wardrobe style boxes you can buy. This should only be used for items that need to be hung up, such as shirt and dresses. Knitwear should not be hung up as it can cause it to lose its shape. Using a self-storage room can be a great solution to limited space at home. It is also the perfect space to keep your clothes, as the optimal environment is clean, cool, dark and dry. Your clothes will also be safe as self-storage rooms are locked. It is important to store your clothes correctly so they are as good as new when you take them out of storage. This will save you money next year as you wont need to buy a new summer wardrobe as your clothes are damaged.